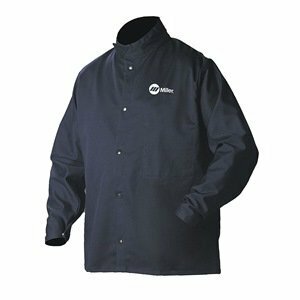 7oz fire resistant treated cotton Durable metal buttons Chest pockets with flaps Meets the requirement of ASTM 1506 Model #FS7-KHK-L Size: Large The Black Stallion flame-resistant cotton work shirt is great to wear under a welding jacket for secondary protection. It can also be used alone when very light welding is needed. Buttoned pockets protect against sparks that can land and ignite. WARNING: This product can expose you to chemicals which is [are] known to the State of California to cause cancer and birth defects or other reproductive harm. For more information go to www.P65Warnings.ca.gov. Washable fire retardant cotton. Racing collar. Dual inside pockets. Scribe pockets. Extended front coverage. Wide scribe pockets. Adjustable cuff and waist straps. Welding collar blocks flying sparks. Slips on easily over your work clothes. No open pockets where sparks can land and ignite. Constructed with 100% 9 oz. 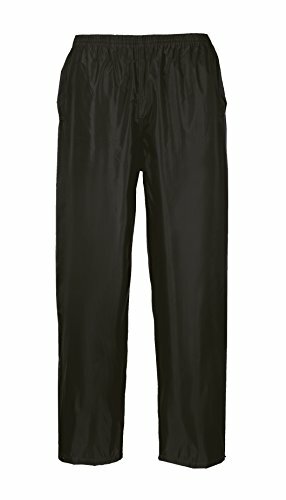 flame retardant cotton Inside left pocket for protected storage Machine washable Snap sleeves for form fitting cuffs Length is 30 inches measured from collar seam to bottom of jacket. 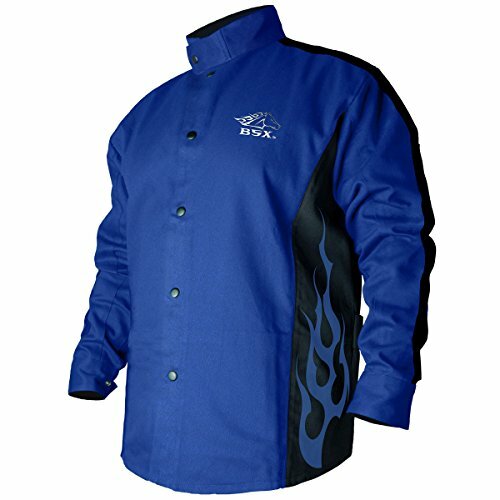 PREMIUM FLAME RETARDANT (FR) FABRIC - The jacket is made from ASTM D6413 compliant 9 oz. FR black cotton which prevents and extinguishes fire / flames. The fabric also has an anti-mildew and anti-static coating for added longevity and protection. SUPERIOR COMFORT - The lightweight FR material is designed to be breathable allowing consistent airflow to keep you cool without sacrificing protection. ADJUSTABLE CUFFS - Each cuff has chrome plated metal snaps allowing for important wrist and forearm protection from sparks, spatter and heat. INTERNAL STORAGE - One large inside pocket for protected storage. NECK PROTECTION - The flip-up collar can protect your neck from arc rays, spatter or sparks. MACHINE WASHABLE - Can be washed up to 50 commercial cycles and still maintain its flame retardant properties allowing for a longer service life than lower quality jackets. Black stallion hybrid welding jacket is the perfect combination of rugged and breathable. The durable leather sleeves offer protection against sparks and spatter while the breathable cotton protects the torso. 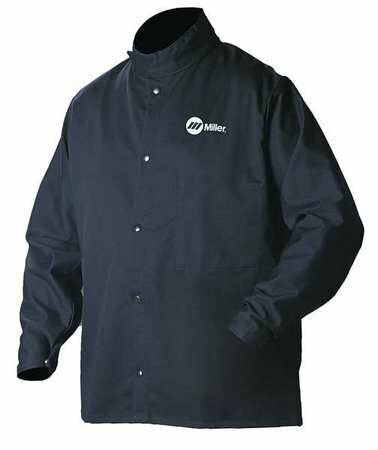 The jacket also features a stand-up collar to protect the welder's neck from burns, extended 30" length to offer more protection and no open pockets where sparks can land and ignite. Welding jacket of navy color with a stand-up collar for extra neck protection fits chest size 50" and is of length 30". It has 1 inside pocket and fold-in snaps cuff. 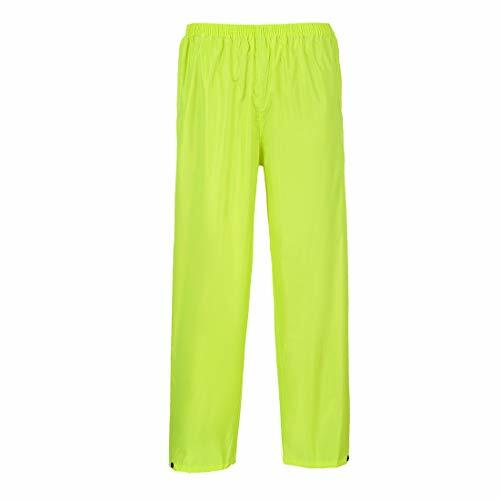 Lightweight and easily packable for convenience, these trousers provide comfort and protection in any weather. 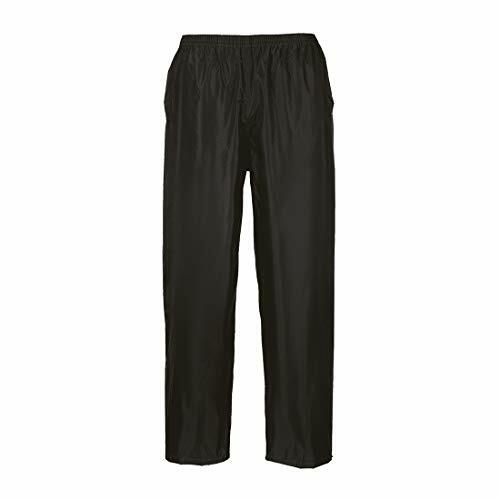 The fit is roomy for easy layering on top of trousers, with the added benefit of side access pockets. The stud adjustable hem ensures a secure fit around work boots. Unbeatable value for money. Welding jacket of navy blue color fits chest size 46" and is of length 30". It has 1 inside pocket and fold-in snaps cuff. Product Features: Stand-up welding collar protects against flying sparks Easily slips on over clothes Hidden zippered pocket Flame resistant lightweight cotton Extended length in front Model # BX9C-L , Size: Large Product Description: Reaching a new level in innovation, the BSX Welding Jacket utilizes a modern design to create a better fitting, better looking and more comfortable protective garment. Black Stallion has created a flame-resistant cotton welding jacket. The jacket features a stand-up collar to protect the welder's neck from burns, extended length in the front to offer more protection, no open pockets where sparks can land and ignite and adjustable waist straps to give a more fitted look. 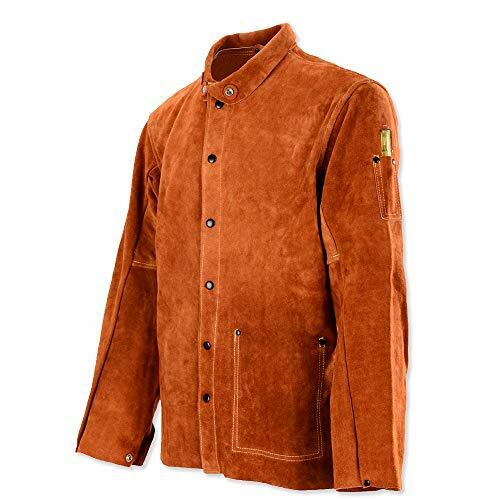 If you are looking for great welding jacket this is the jacket for you! WARNING: This product can expose you to chemicals which is [are] known to the State of California to cause cancer and birth defects or other reproductive harm. For more information go to www.P65Warnings.ca.gov. Reaching a new level in innovation, the BSX Welding Jacket utilizes a modern design to create a better fitting, better looking, and more comfortable protective garment. Black with red flames BSX welding jacket is 9 oz flame-resistant treated cotton with a welder's collar and extended length front. Dual scribe and inside pockets and a zippered inside pocket. Adjustable waist straps. 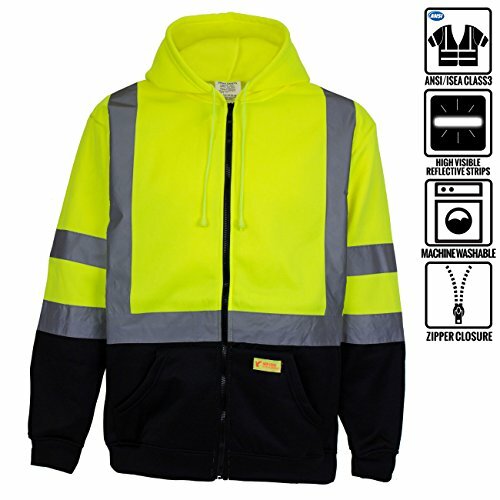 Product Features: Stand-up welding collar protects against flying sparks Easily slips on over clothes Hidden zippered pocket Flame resistant lightweight cotton Extended length in front Model # BX9C-M , Size: Medium Product Description: Reaching a new level in innovation, the BSX Welding Jacket utilizes a modern design to create a better fitting, better looking and more comfortable protective garment. 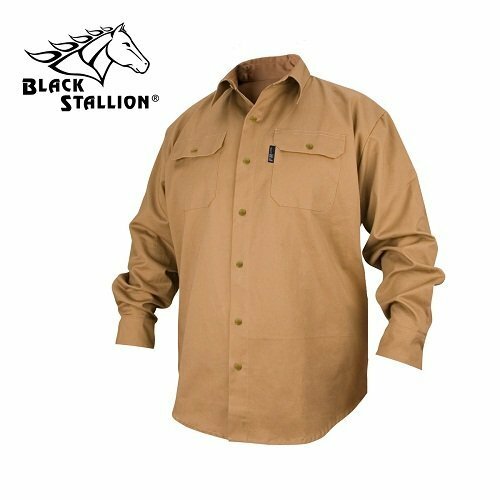 Black Stallion has created a flame-resistant cotton welding jacket. The jacket features a stand-up collar to protect the welder's neck from burns, extended length in the front to offer more protection, no open pockets where sparks can land and ignite and adjustable waist straps to give a more fitted look. 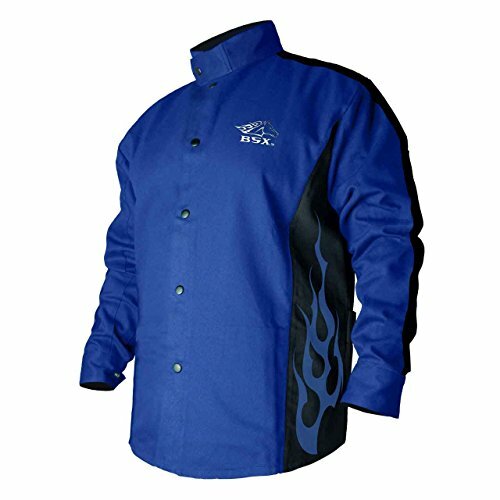 If you are looking for great welding jacket this is the jacket for you! WARNING: This product can expose you to chemicals which is [are] known to the State of California to cause cancer and birth defects or other reproductive harm. For more information go to www.P65Warnings.ca.gov. 8 oz. 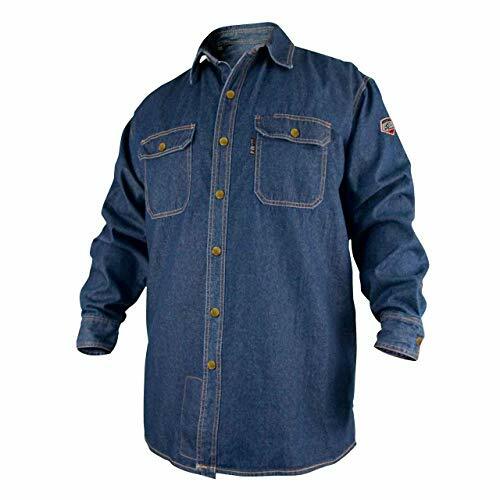 Flame Resistant Cotton/Denim Long Sleeve Work Shirt. 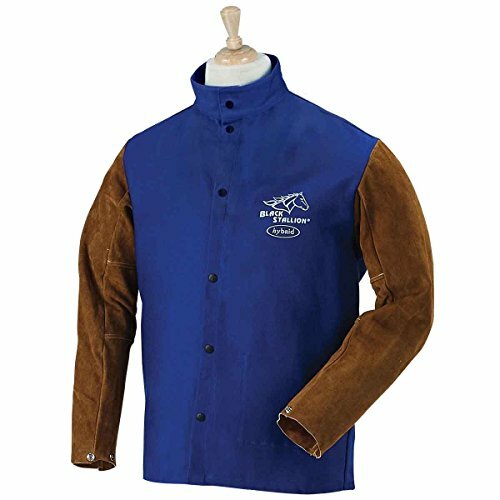 QeeLink Welding Jackets are made of thick real leather for maximum durability. Heavy duty leather can always keep fireproof by itself all its life. Other Jackets rely on fire protection coating but it can not going to last. Invest in a rugged Jacket for your safety and reduce your worries. Our welding leather Jackets are built to last. 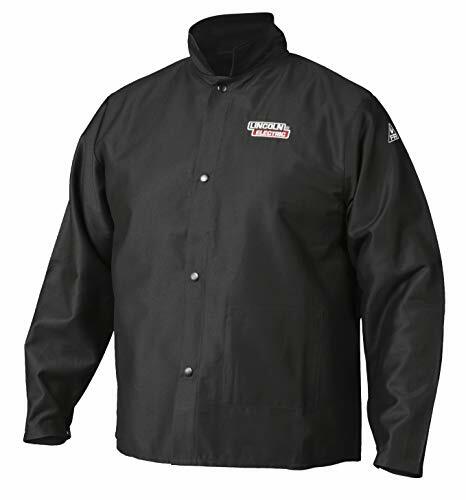 SUPERIOR PROTECTION: Heat & Flame-Resistant heavy duty split cowhide leather welding Jacket. Full coverage Leather Jacket protect you when you are working. MORE DURABLE: Sewn with US Kevlar thread for strength and durability. TOOL POCKETS: Inside pocket and soapstone pocket on each sleeve for storage. MULTI - FUNCTION. They are not only for welding but also useful for many other work and home tasks. Idea forIdeal for blacksmithing, steel mills, shipyards, manufacturing, automotive, gas welding, torch work, woodworking. No more wet arms! Sturdy, but lightweight .22mm EVA material good for repeated wears. Includes two plastic snaps on each side. 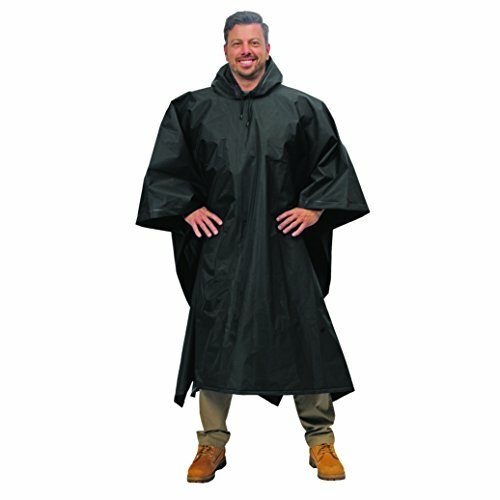 Generous 59 inch x 97 inch dimensions (standard ponchos are 50 inch x 80") with larger head opening than standard Poncho. For people over 5 10" or those who wear Men's sizes 2XL or larger. If too long, can be easily trimmed with scissors and the Poncho won't fray.